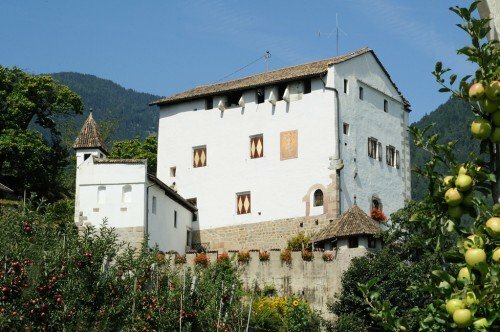 The medieval residential castle is perched high above Lana in the peaceful village of Foiana – Ansitz Helmsdorf not only offers a wonderful view over the lovely Burgraviato area, but also on the scenic Adige Valley. 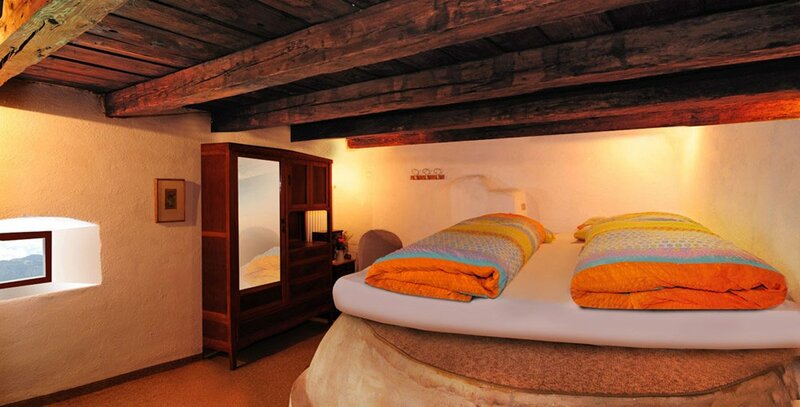 In our holiday apartments you can spend relaxing summer or winter vacations. In the summer your holiday farm Helmsdorf offers you an inviting lawn for sunbathing, a barbecue area and a playground, as well as a romantic cottage garden to relax; during your winter holidays with the Santer family you will not only enjoy a direct connection to snowy paths and trails in Merano, but also the immediacy to the ski resorts Merano 2000, Val d’Ultimo and S. Vigilio. After your adventures in the snow your holiday apartment will offer you the warmth of the ecological wood chip heating system, thus guaranteeing romantic evenings in your castle apartment. 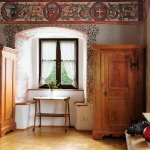 Your host family Santer offers you different apartments for your unique castle holidays in South Tyrol. In the holiday apartment “Ritterturm” you’ll enjoy a spacious kitchen and a modern bathroom, as well as a cosy living room with a sofa bed. 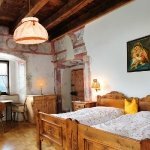 In the separate bedroom with the ornate wooden double bed, the quaint wooden ceiling and historic wall frescoes, you will feel like king and queen. 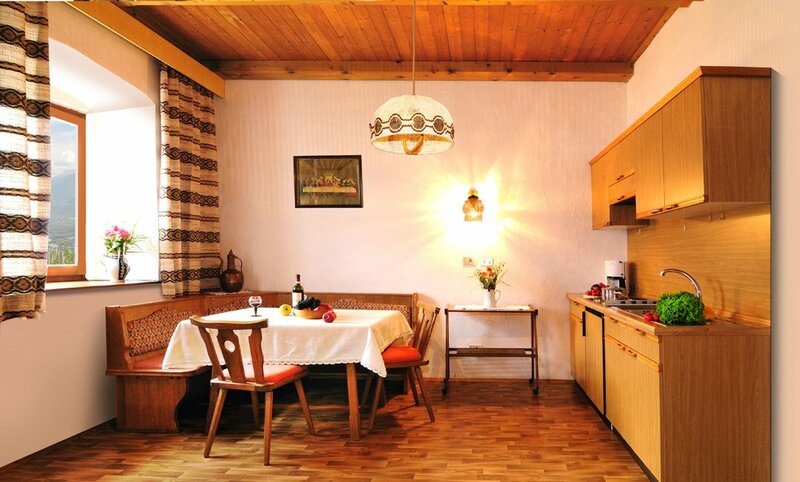 In total, the holiday apartment “Ritterturm” can accommodate up to 6 people, and is therefore the ideal choice for a relaxing family holiday. 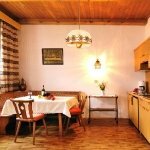 Also housed in a tower, the holiday apartment “Wehrturm” offers a bucolic, cosy residential ambiance. 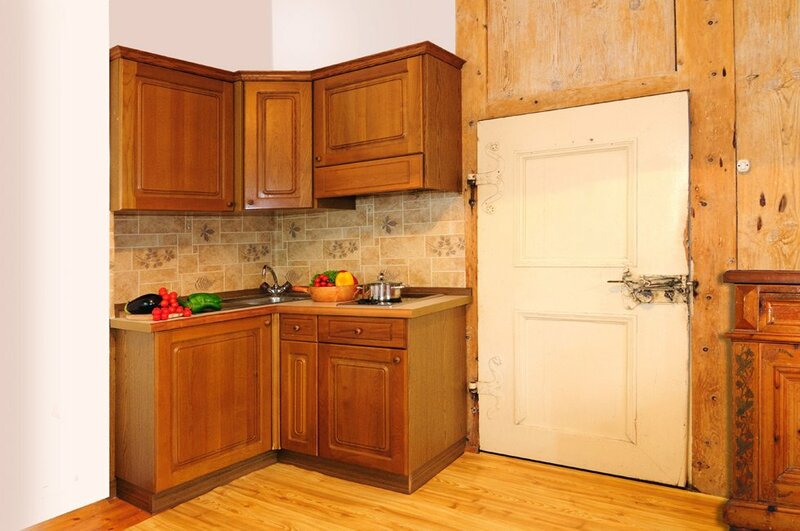 The spacious holiday apartment with separate bedrooms offers plenty of room for four adults. 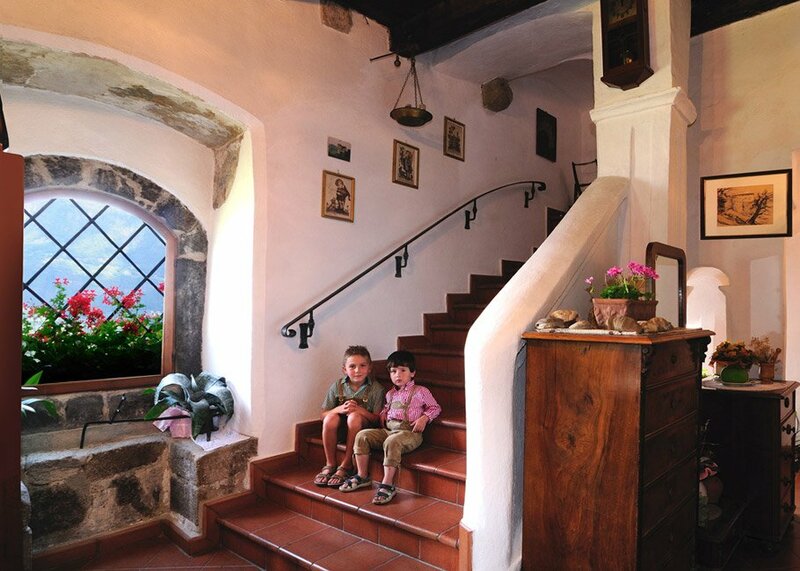 Here you can enjoy a wonderful castle holiday in South Tyrol with your family or with your friends. Furthermore, at the Ansitz Helmsdorf you can benefit from the impeccable service (towels, sheets and daily fresh bread) of your hosts family Santer. The “Backofenzimmer” takes its name from the oven beneath the room. This room can be booked individually or together with the apartments, so the holiday apartments offer 2 separate bedrooms. You will simply love the special atmosphere there. Here you can enjoy a magnificent view over the Burgraviato area and the cultural centre of Merano. 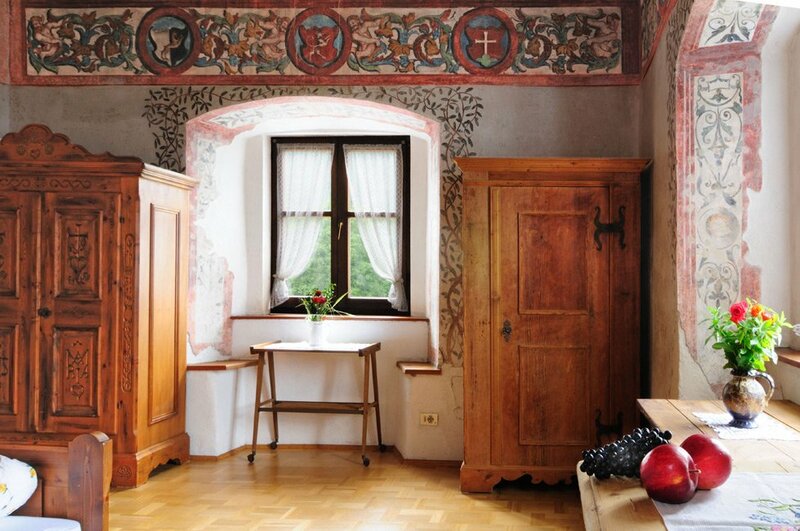 You’ll be fascinated by the historic atmosphere of your holiday apartment at the Ansitz Helmsdorf that will take you back to the days of knights and damsels, while you still can enjoy modern comforts. Because all the apartments at the Ansitz Helmsdorf are equipped with quality appliances. At Ansitz Helmsdorf you will even have internet connection. 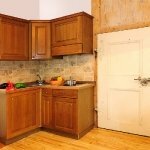 Book your holiday at the farm right here.